In October, Netflix brought its acclaimed 22 July and Private Life films to theatres in Toronto and other North American cities. Now, Netflix has confirmed that it will bring three more of its biggest 2018 films to Toronto theatres as well, according to a report from Deadline. 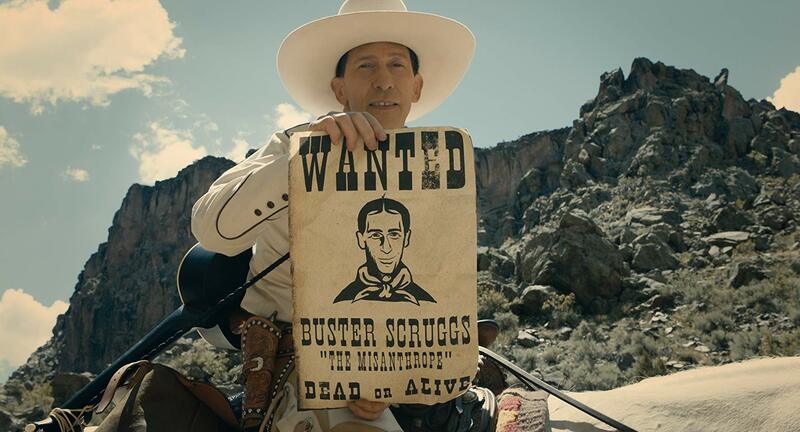 The first, The Ballad of Buster Scruggs from the Coen brothers, will be released globally on Netflix on November 16th and see “exclusive limited theatrical engagements” in Toronto and other cities. It’s worth noting, though, that Deadline‘s report doesn’t specifically mention if Toronto will get Roma or Bird Box. Instead, the outlet reports that theatres in “other top U.S. markets and international territories” will receive Roma on December 7th ahead of the film’s December 14th global release. This may include Toronto, although it’s currently unclear. Bird Box, meanwhile, is only said to be getting an “expanded theatrical release in additional theaters in the U.S., Europe and throughout Europe,” with no mention of any other North American cities like Toronto. MobileSyrup has reached out to Netflix for confirmation that all three movies are coming to Toronto theatres (as well as any other Canadian cities) and will update this story once a response has been received. According to Deadline, Netflix’s shift towards larger theatrical releases is part of a larger plan to garner more recognition at the Academy Awards. Netflix reportedly hopes that Oscar voter traditionalists won’t discount its films simply because they are only given limited theatrical releases while launching simultaneously on the streaming service. So far, Netflix has seen record success at the Emmy Awards, although its lineup of original films has largely been ignored by the Academy Awards, outside of a few pictures like last year’s Mudbound. In particular, Netflix films have never been recognized in the coveted Best Picture category, which is something the company is said to be looking to change.